Powered by the PEX Network, all the speakers, attendees, and sponsors at PEX Europe Spring over three days made plans on how to strategize, execute and deliver operational excellence, improvement change to their organisation. With talking points centred around the theme of operational excellence, architecture and technology innovation organisations from across Europe and across industries shared and learned from some of the most unique,thought-provoking and exciting projects in Europe. 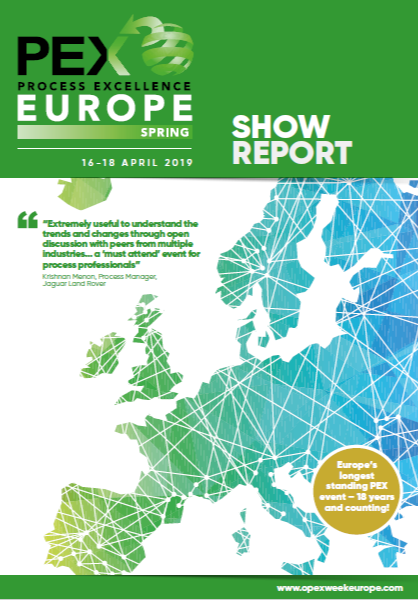 Download the Show Report to see the key themes and learning that derived from OpEx Leaders Europe Summit 2018, and what to look forward to in 2019!